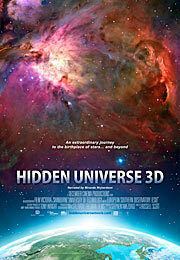 The 3D production Hidden Universe has been released in IMAX® theatres and giant-screen cinemas around the globe, with world premieres on 28 June 2013 at Great Lakes Science Center in Cleveland, Ohio, USA, and on 29 June at the Tycho Brahe Planetarium in Copenhagen, Denmark. The film shows state-of-the-art telescopes in high-resolution time-lapse, mesmerising 3D versions of celestial structures, and a 3D simulation of the evolution of the Universe. 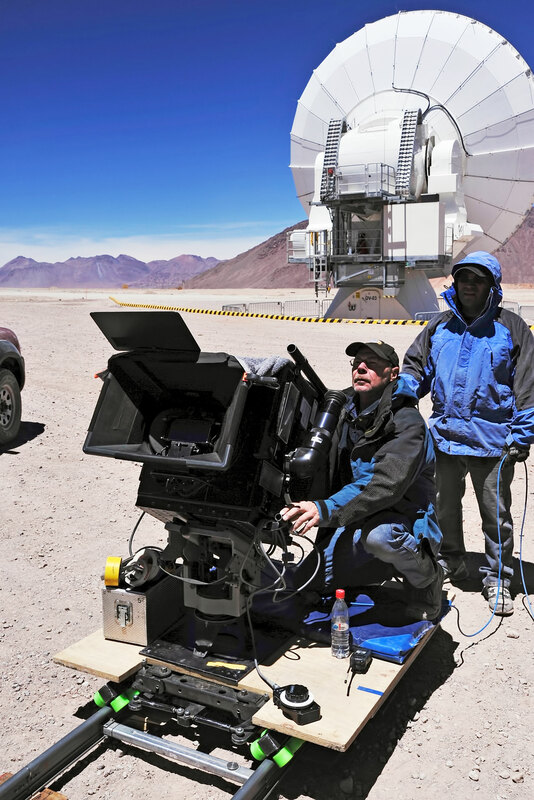 To actually visit the most cutting-edge telescope facilities in the world, one has to travel to far flung places — such as the Chilean Andes at altitudes of up to 5000 metres. Now there is an easier way to experience these extreme locations. For the first time in IMAX® 3D you can now explore ESO's flagship facility, the Very Large Telescope (VLT), on screen, as well as visit the largest astronomical project in existence — the Atacama Large Millimeter/submillimeter Array (ALMA, an international astronomy facility supported by Europe, North America and East Asia in cooperation with the Republic of Chile) in the film Hidden Universe. Russell Scott directed the film, and worked on location during the shooting in November 2012. 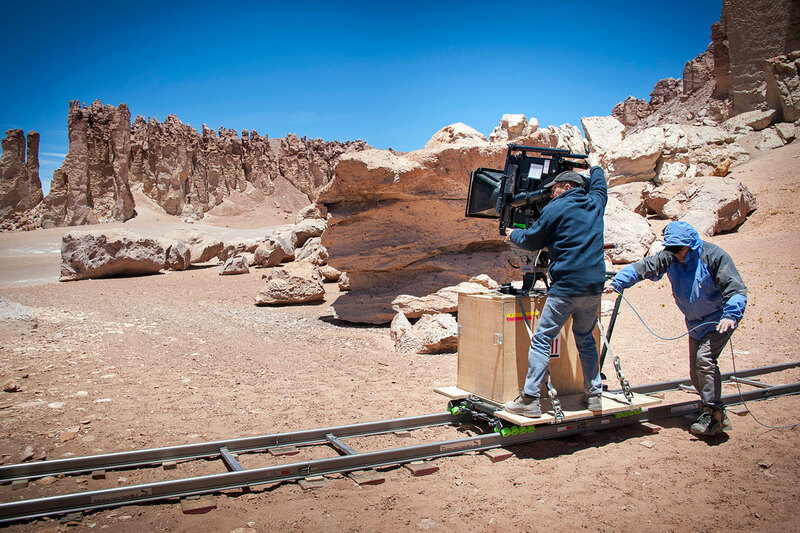 "The experience of filming in the Atacama Desert at such world-class observing facilities has been amazing," he says. 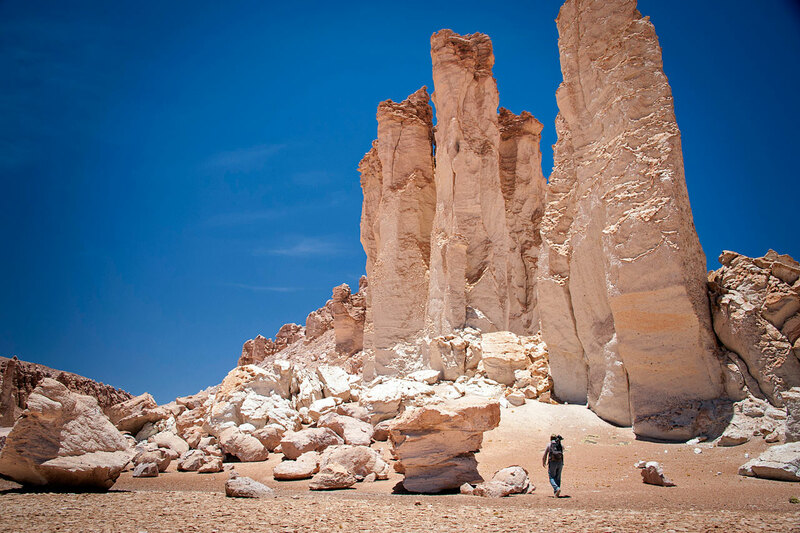 "Some of the otherworldly locations among the Andes mountains almost make you feel like you're on another planet, and this sensation of nature — beyond what we are used to — is exactly what I want to transmit to the audience." 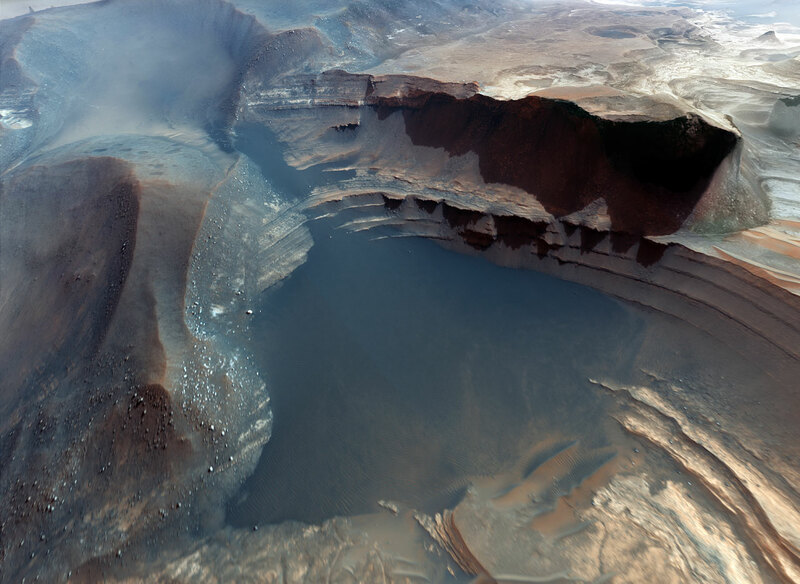 From these extreme locations on Earth, the audience will be taken on a breathtaking tour of deep space in the cinematic medium that does it best: IMAX 3D. Viewers will peer deep inside vivid galaxies and nebulae, travel over the terrain of Mars, and witness stunning images of the Sun. The Universe is brought to life through real images and previously unseen giant-screen 3D simulations based on astronomical data gathered by the VLT, ALMA, and other telescopes such as the NASA/ESA Hubble Space Telescope, creating an immersive IMAX 3D experience. 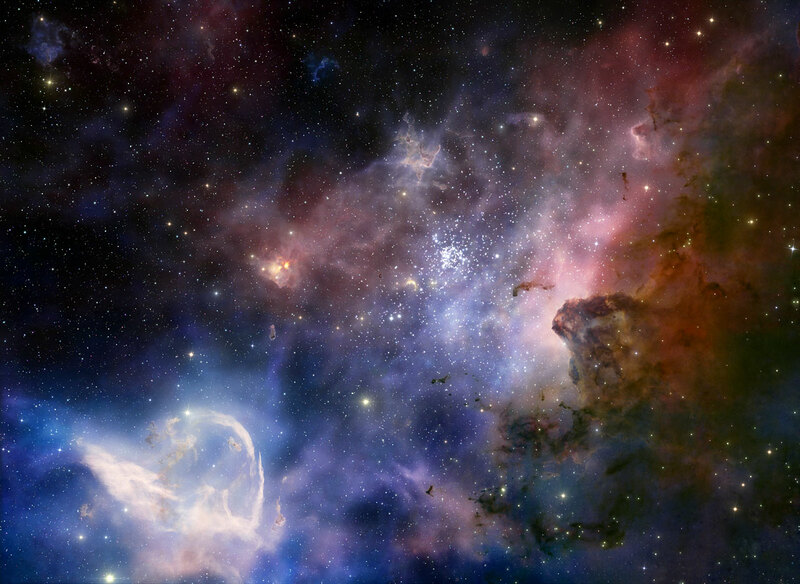 "Hidden Universe will explore the Sun, our human connection to the cosmos, and amazing views of faraway galaxies in a previously unseen way — giving a fresh insight into the Universe," explains producer Stephen Amezdroz. 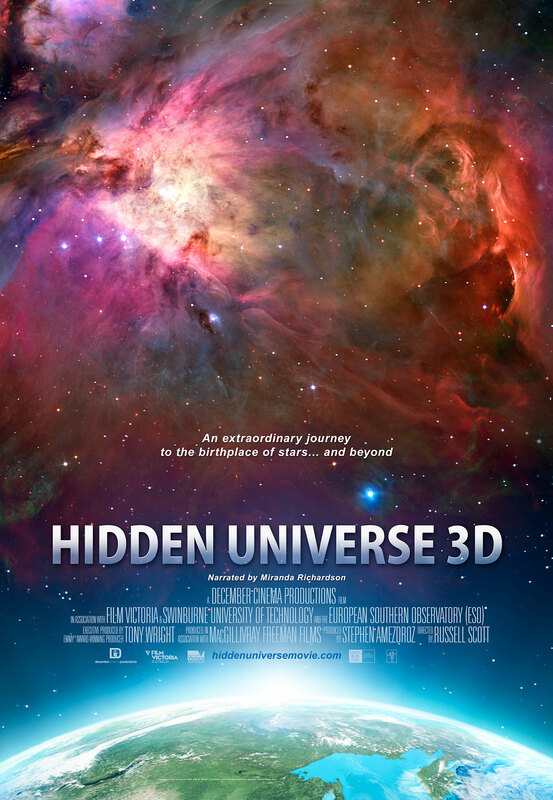 Hidden Universe is filmed in 15/70 mm and is produced by Australia's award-winning production company December Media in association with Film Victoria, Swinburne University of Technology, and ESO. The film is also produced in association with and distributed by two-time Academy Award®-nominated MacGillivray Freeman Films, the world's leading producer and distributor of IMAX films. "We're enthusiastic to showcase ESO's telescopes and groundbreaking science results in IMAX," said Lars Lindberg Christensen, ESO's Head of the education and Public Outreach Department. "Only the IMAX format can really convey the breathtaking experience of seeing humanity's most advanced telescopes in action!" A list of venues showing the film will be kept updated at the film's official website. ESO is the foremost intergovernmental astronomy organisation in Europe and the world's most productive ground-based astronomical observatory by far. It is supported by 15 countries: Austria, Belgium, Brazil, the Czech Republic, Denmark, France, Finland, Germany, Italy, the Netherlands, Portugal, Spain, Sweden, Switzerland and the United Kingdom. ESO carries out an ambitious programme focused on the design, construction and operation of powerful ground-based observing facilities enabling astronomers to make important scientific discoveries. ESO also plays a leading role in promoting and organising cooperation in astronomical research. ESO operates three unique world-class observing sites in Chile: La Silla, Paranal and Chajnantor. At Paranal, ESO operates the Very Large Telescope, the world's most advanced visible-light astronomical observatory and two survey telescopes. 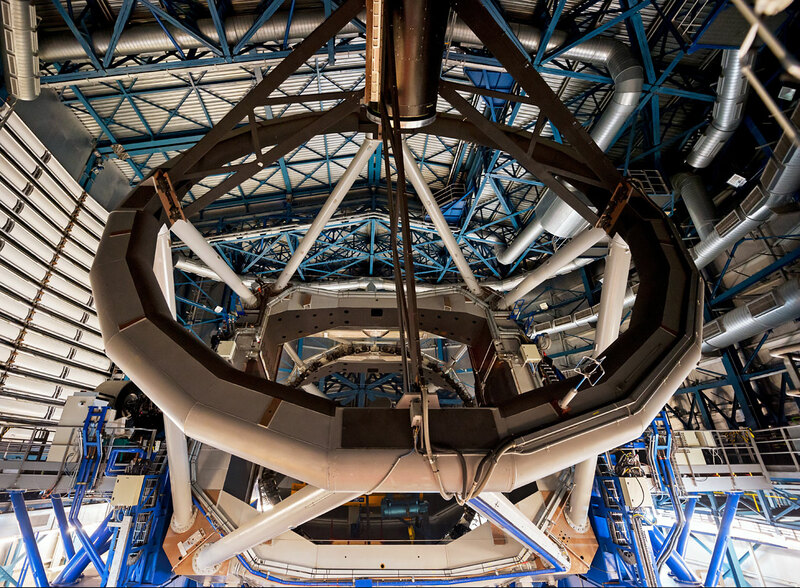 VISTA works in the infrared and is the world's largest survey telescope and the VLT Survey Telescope is the largest telescope designed to exclusively survey the skies in visible light. 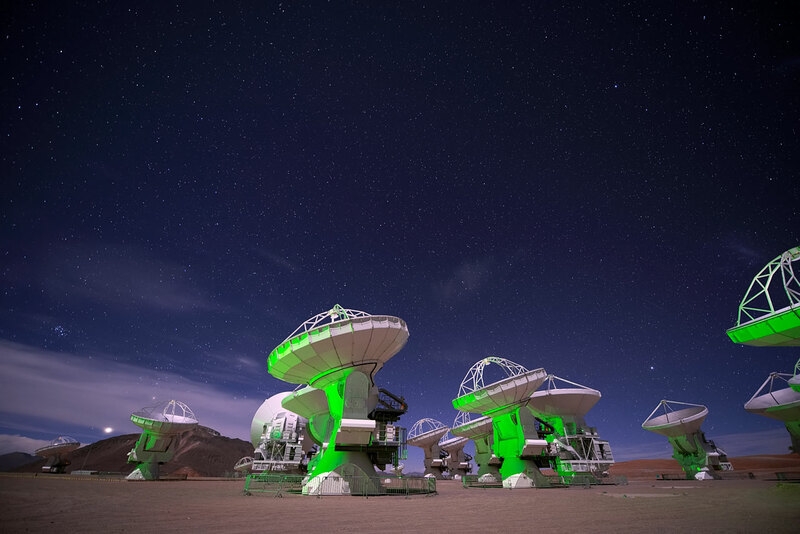 ESO is the European partner of a revolutionary astronomical telescope ALMA, the largest astronomical project in existence. ESO is currently planning the 39-metre European Extremely Large optical/near-infrared Telescope, the E-ELT, which will become "the world's biggest eye on the sky". December Media is one of Australia's most experienced production companies in factual and documentary filmmaking. Based in Melbourne, the company is known for its quality documentaries and series made for the Australian and international markets. With more than 20 years of experience in documentary, education, award‐winning live action and animated children's television, December Media brings a wealth of development, financing and production experience as well as having extensive network, distribution and financing relationships across the globe. Film Victoria, a state agency and strategic partner to the film industry, funds and promotes great original films made in Victoria, Australia, committing over AUD 7.2 million to local film and television projects last year alone. The agency has secured international and out-of-state productions for Victoria, including I Frankenstein, the HBO mini-series The Pacific, Don't Be Afraid of the Dark, Where the Wild Things Are, Ghost Rider and Knowing. Swinburne 3D Productions, in conjunction with Swinburne University's Center for Astrophysics and Supercomputing, is a leader in scientific film production and high-end space visualisations, combining scientific data with innovative, proprietary techniques in CGI animation and 3D imaging. Specialising in film, interactive content and educational packages, Swinburne has over ten years of experience producing stereo-3D films. MacGillivray Freeman Films is the world's foremost independent producer and distributor of giant-screen films for IMAX theatres, including the Oscar‐nominated Dolphins and The Living Sea. For the past forty years, the company's films have been shown in leading institutions around the world, making the company the first documentary filmmaker to reach the US$1 billion box office benchmark. MacGillivray Freeman's films are known for their artistry and successful blend of education and entertainment, as well as their celebration of science and the natural world.